◎ The appointment of Yang Xiaodu as National Supervision Commission director shocked many observers. Yang Xiaodu, the new Politburo member and deputy secretary of the Central Commission for Discipline Inspection (CCDI), was elected as director of the new National Supervision Commission (NSC) on March 18. His appointment shocked many observers. Yang spent over 24 years in the government of Tibet. 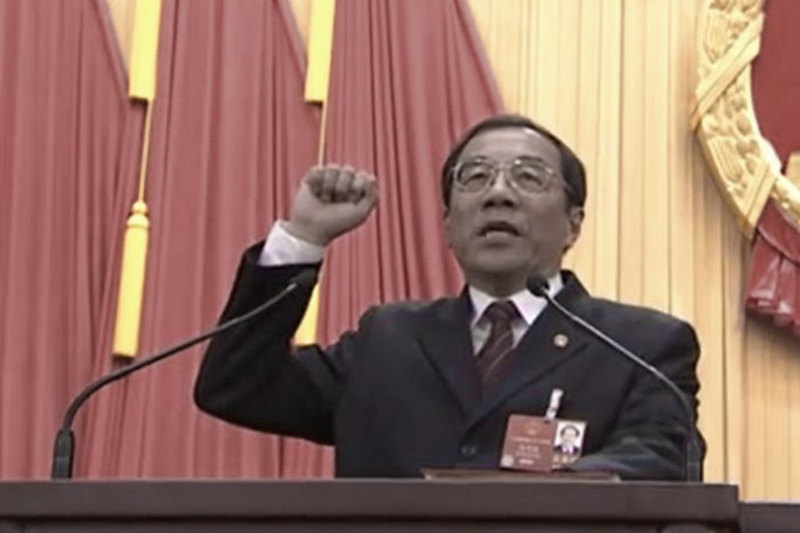 When Hu Jintao was Party secretary of the Tibetan Autonomous Region (1988 – 1992), Yang served as deputy commissioner of the Nagqu Prefecture Administrative Office (1986 – 1992). After leaving Tibet, Yang spent 13 years in Shanghai (2001 – 2014). He served as Shanghai deputy mayor for five years before joining the municipal Party committee. When Xi Jinping was posted to Shanghai (2007-2012), Yang headed the Shanghai united front work department (Oct. 2006 – June 2012). As part of the 18th Party Congress personnel reshuffle, Yang became Shanghai CCDI chief (May 2012 – Nov. 2013). This appointment suggested that he was being marginalized at the time since the Jiang faction still controlled personnel movement and the CCDI was then still regarded as one of the least important Party organs. However, the CCDI became a very powerful Party apparatus after Xi embarked on his anti-corruption drive. Starting March 2014, Yang Xiaodu steadily climbed the Party ranks, making CCDI deputy secretary (2014 – present), Minister of Supervision (2016 – 2018), and director of the National Bureau of Corruption Prevention (2016 – 2018). At the 19th Congress, Yang became a Politburo member and a sub national-level leader (副國級). He continued to serve as CCDI deputy secretary, and was also appointed to the Party’s Secretariat. 1. Yang Xiaodu’s career progression under Xi Jinping indicates that he is in the circle of officials whom Xi trusts. 2. As Yang is a sub national-level leader, this means that the NSC ranks in the same hierarchy as the Supreme People’s Court and the Supreme People’s Procuratorate (both institutions are helmed by sub national-level leaders). Before Yang’s appointment, many observers presumed that the NSC would be a national-level institution because Politburo Standing Committee member Zhao Leji (national-level leader) was widely believed to be picked as the first NSC chief. 3. At a glance, the NSC and CCDI sharing offices and personnel suggests that the Party is strengthening its leadership over the state. However, the NSC’s jurisdiction greatly outstrips the CCDI’s, and the CCDI’s investigation and case handling tasks have been transferred to the NSC. The CCDI only retains its safeguarding and education functions. In other words, the CCDI would be responsible for handling small cases of discipline violations, while the NSC would be responsible for managing major corruption cases. 4. The CCDI should lead the NSC in theory, but how this works out in practice is unclear given the current leadership personnel arrangement. CCDI chief Zhao Leji doesn’t helm the NSC, and it is very unlikely that he will serve as NSC deputy director and become subordinate to Yang Xiaodu. And without a post in the NSC, the CCDI secretary’s position naturally weakens. If this leadership trend plays out in the provinces over the next four years, i.e., separate officials are appointed to the provincial NSC and CCDI, then China’s political scene will be headed in a very interesting direction. 5. From a macro-political perspective, all Politburo Standing Committee members except for Li Zhanshu find their authority diminished post Two Sessions. 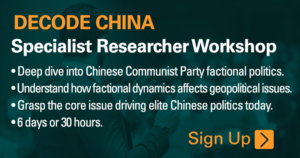 We believe that Xi Jinping is taking advantage of the Party and state institution reforms to further weaken the power of the Politburo Standing Committee and erode the collective leadership model. Many observers declared collectively leadership “dead” with the removal of presidential term limits. This reading is imprecise because the presidency never had any bearing on the Party hierarchy. From another perspective, Hu Jintao could never be above the Party’s collective leadership during his reign even if he scrapped the presidential term limits.